With the year flying by (can it really be September already?) don’t let this week’s events fly by you too! Catch the ever-inspirational European Film Festival, an evocative debate about women in Middle Eastern society, get yourself a job at the Akhtaboot Job Fair or if you really feel daring, join the first ever hot dog eating contest with Jordan’s first ever Slingshot! Hurry up and secure your plans for the week before it’s too late and you’re literally left out in the cold! From September 6 – 19 at 8:00 p.m. 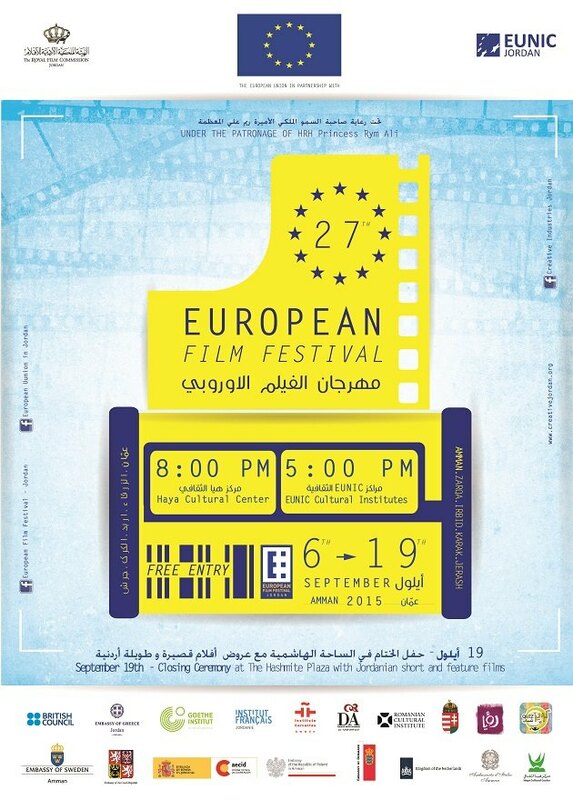 Under the Patronage of HRH Princess Rym Ali, The Delegation of The European Union, EU Embassies of The EU and The National Institutes for Culture (EUNIC) in cooperation with The Royal Film Commission – Jordan invites you to attend the 27th European Film Festival! September 9 at 7:00 p.m.
Take part in a truly unique experience involving a screening and debate unlike anything we’ve heard of in recent times. 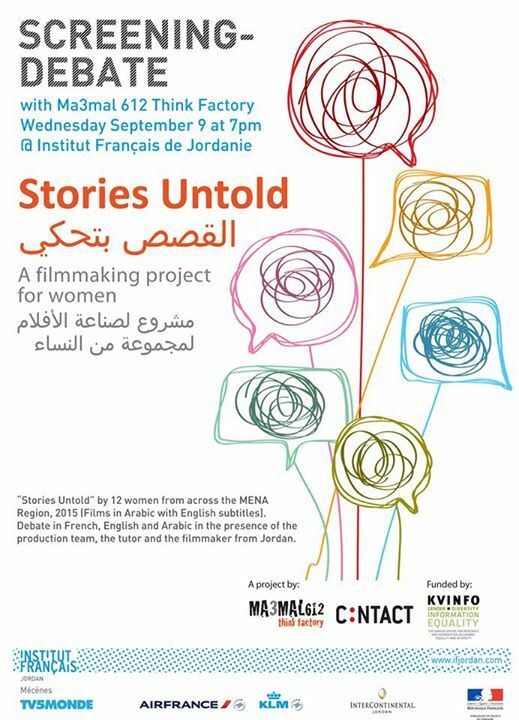 “Stories Untold” presents the unique stories of twelve exceptional women from across the MENA region. The women were recruited due to their impactful stories and their diverse life experiences. Together the films offer a wide range of important personal testimonies from the region, purposefully through low tech expression. The Carte Blanche will include a debate in French, English and Arabic in the presence of the production team, the tutor and the filmmaker. A project by Ma3mal 612 Think Factory, don’t miss the opportunity to join the conversation! September 9 & 10 from 10:00 a.m. to 8:00 p.m. Looking for a new opportunity? Check out the 6th annual job fair by Akhtaboot! Recognizing a need to bridge the unemployment gap all over the Middle East job market, Akhtaboot is providing a number of leading Jordanian companies and educational institutions covering different industries. Join this 2 day job fair for not only an opportunity for a future career but also career related courses. For more info click here! September 11 at 8:00 a.m.
Tours of Jordan is a national Jordanian corporation with tourism, social, sport and youth development objectives. This project aims to encourage cycling in Jordan, support it as a sport amongst the Jordanian youth and present historical Jordanian sights. Starting at the King Abdullah II Park the tour will take you through the City Center all the way to The Roman Theater. Past the finish line you can enjoy a concert by Moh’d Rafe’, Ghazal and a stand-up comedy show from the hilarious Ahmad Srour. With media sponsors like Ro’ya TV, Play 99.6, Nashama 105.1, Studio Flora and LG G4 prizes, you are sure to enjoy the after-party! Tickets are 20 JD if you need to rent a bike or 10 JD if you bring your own! 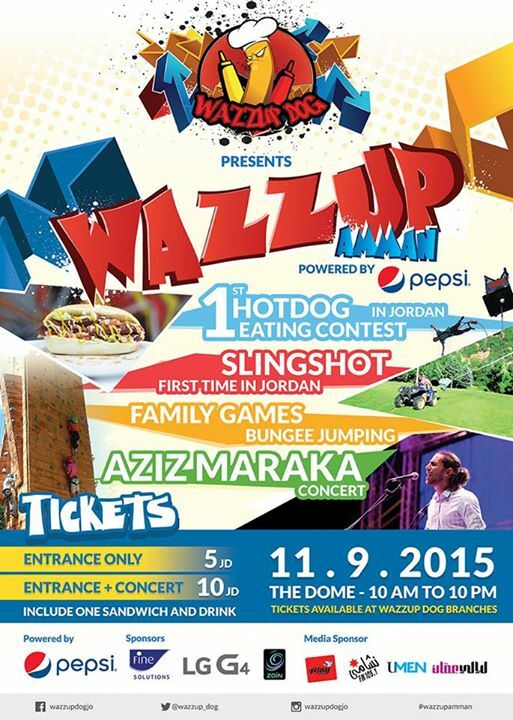 Tickets available at Nader Bike, Cycling Jordan, Bike Rush, and CrepeMania. September 11 from 10:00 a.m. to 10:00 p.m.
September 12 from 8:00 a.m. to 3:00 p.m.